Friday (7/9) – Friday (7/9) – ‘Citizen Sound’ symposium featuring a wine and cheese reception, introductions to each of the ASAE chapters, and presentations by leaders in Chicago’s cultural and advocacy scene. Featured guests include Lou Mallozzi, Executive Director of Experimental Sound Studio and architect Graham Balkany of the Gropius in Chicago Coalition. A media lounge, where guests can sample CDs and peruse publications by participants, performers and ASAE members, will be open all night. Following dinner at a local eatery, we’ll be treated to a concert featuring ASAE member composers, performers and special guests. 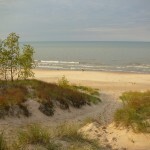 Saturday (7/10) – Head “out of town” for an afternoon soundwalk in Miller Woods, at the Indiana Dunes National Lakeshore. After the dunes soundwalk, it’s back to the city for another group dinner followed by a Chicago nightlife soundwalk. This day’s events should provide plenty of opportunities for informal conversation and networking among members. Sunday (7/11) – ASAE members lead a workshop for children and families. A late afternoon concert and closing reception will follow. ASAE members from New York, San Francisco, the Midwest, Southwest and beyond will present their works. During the course of these events, the ASAE‘s governing body and leaders from all the regional chapters will be meeting to brainstorm for the future of the organization. We will be soliciting input from you – our members – as we embark on this important work. Please plan to share any ideas, concerns or questions about the organization that you might have. All events, including both concerts, the ‘Citizen Sound’ symposium, the soundwalks and the workshop are free for ASAE members (current for 2010). All meals are pay-your-own, but we’ll be making advance reservations so will ask you to register. Transportation between venues, including the Dunes soundwalk, will be via public transit. These costs are not covered by the ASAE, but we will plan to meet and travel as a group to the Dunes soundwalk. We’re working now to put together a list of hotels and travel resources for those of you attending from afar. Homestays with Chicago MSAE and WLP members may also be possible. Vocalo.org 89.5FM is pleased to support the Midwest Society for Acoustic Ecology as a media sponsor for the Indiana Dunes Sound Walk. 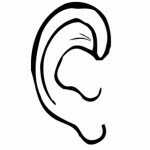 A brief presentation by members of the American Society for Acoustic Ecology will be given at the Douglas Center before the soundwalk in Miller Woods. The soundwalk concludes with a discussion for participants. Read about the soundwalk and other events in the park’s newspaper, Singing Sands. The Paul H. Douglas Center is an approximately 10-minute walk from the Miller station on the South Shore Line.